Notes from Paris. - No. II. The President and his Dotation. An original article from Tait's Edinburgh Magazine, 1850. - R.M.M. R.M.M. - Notes from Paris. - No. II. The President and his Dotation. An original article from Tait's Edinburgh Magazine, 1850. Tait's Edinburgh Magazine, Edinburgh, 1850. First Edition, Disbound. Very Good Condition. Note; this is an original article separated from the volume, not a reprint or copy. Size: Octavo (standard book size). 2 pages. Quantity Available: 1. 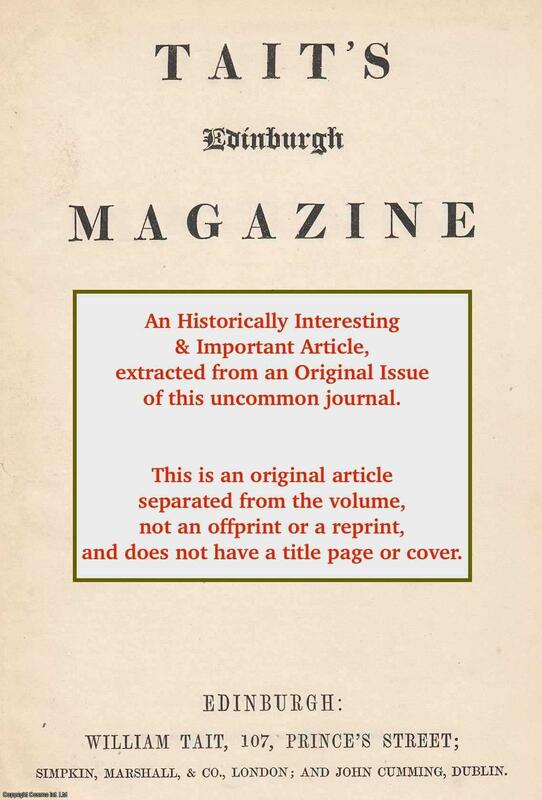 Category: Tait's Edinburgh Magazine; Inventory No: 153149.